Want to learn how to cook in your own home? No problems. Classes run for 4 hours and you can customise your class to use the Latasha’s Kitchen range of ready-made Curry Pastes, Sauces, Marinades and Condiments of your choice. You will cook 7 dishes – enough to feed 10 people and get to choose 3 jars for your pantry. Classes can be run for 1-20 people, with a minimum cost of $600 for two people and $100 extra charged per person. To make an enquiry before booking, contact Latasha. Note these prices are only applicable in Perth, Western Australia. Want to learn how to cook in your own home? No problems. 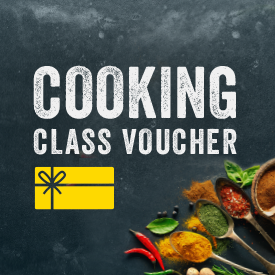 Classes run for 4 hours and you can customise your class to use the Latasha’s Kitchen range of ready-made Curry Pastes, Sauces, Marinades and Condiments of your choice. You will cook 7 dishes – enough to feed 10 people and get to choose 3 jars for your pantry.